Driving to town this morning, I didn't have time to stop and watch two bobwhites at roadside. 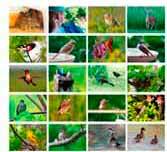 Now that's being too busy, I thought to myself, noting that I seldom get a second chance if I pass a good bird by. But when I arrived at my destination I found my meeting canceled. Returning home, I drove slowly home that last gravel mile. Windows down, heater on low. And this is what I found. 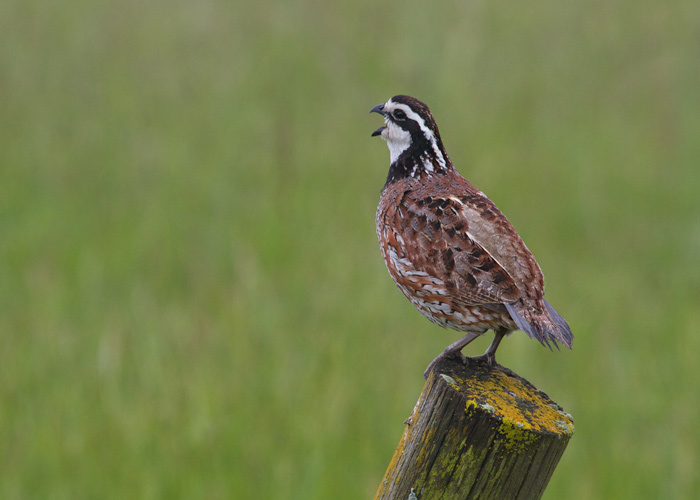 A male bobwhite, singing his name from a lichen-covered fence post. Joy! My earlier sin against forgiven. Morning redeemed. The Talon 8x42 binocular, from Vortex Optics, invites you to wrap your fingers easily around either barrel. This contributes to a steady image, and a more detailed picture. You also see a remarkably wide field of view — 425 feet at 1000 yards. Eye relief of 18mm means it works great even for people who wear glasses. And it focuses close on the birds just 6 feet away!